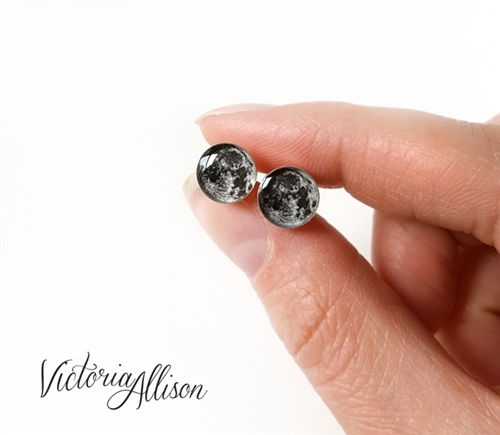 These small sterling silver earrings feature the image of the Earth's full moon, set in a bezel and sealed with jeweler's grade resin! 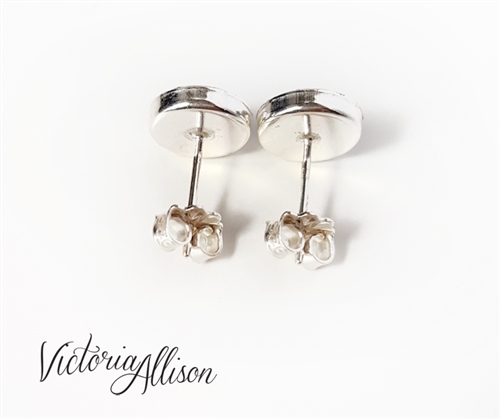 These earrings are made with sterling silver (not plated silver) and are quite small! Please view all images and item descriptions for size/scale. 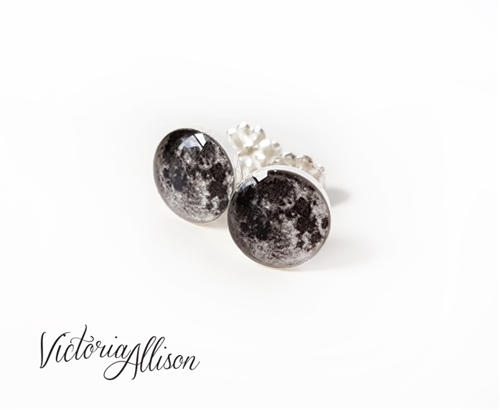 The moon image is sealed inside an 8mm (a little under 3/8" wide) sterling silver bezel, and protected with glossy jeweler's resin. The earrings posts are secured with butterfly earring backs. To preserve the life of your jewelry, please do not swim, bathe, etc, while wearing it.